US President Donald Trump's lawyer has said Special Counsel Robert Mueller's probe of Russian meddling in the 2016 US election should itself be the subject of a Justice Department examination. "We want the Mueller probe to be investigated the way the Trump administration has been investigated, and we'd like to see a report with the conclusions," Rudy Giuliani said yesterday on CNN's 'State of the Union'. The comments follow his statements on Friday that the president's legal team was looking into a Justice Department inspector general's report to determine whether they could make a case that Mr Mueller's investigation is invalid because of findings of bias at the FBI. Mr Mueller is investigating Russian meddling in the 2016 presidential campaign, possible collusion with those around Mr Trump, and whether the president sought to obstruct justice. "I'm not really saying the special counsel. I'm saying what led up to the special counsel. 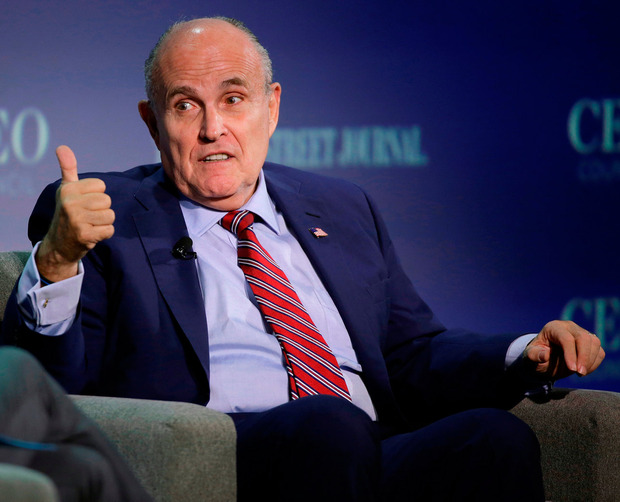 I don't think Mueller and his people need to be investigated unless something comes out of that," Mr Giuliani said. "Remember, you've got a bunch of odd things that led to the appointment of Bob." Mr Trump and his allies are using last week's release of the inspector general's report, on accusations of misconduct at the FBI, as fresh fodder to undermine the probe by Mr Mueller. Mr Trump claimed on Friday that "the Mueller investigation has been totally discredited." The 500-page report from the inspector general focused on decisions by former FBI director James Comey in the 2016 investigation into Hillary Clinton's email server - well before Mr Trump fired Mr Comey and Mr Mueller was named to take over the separate inquiry. Democrats have said the report provided no grounds to undercut Mueller's continuing investigation. Ben Riley-Smith Donald Trump and his allies are attempting to turn the two-year Russia investigation saga into a political boost for the 2020 presidential election in the wake of the Mueller report.